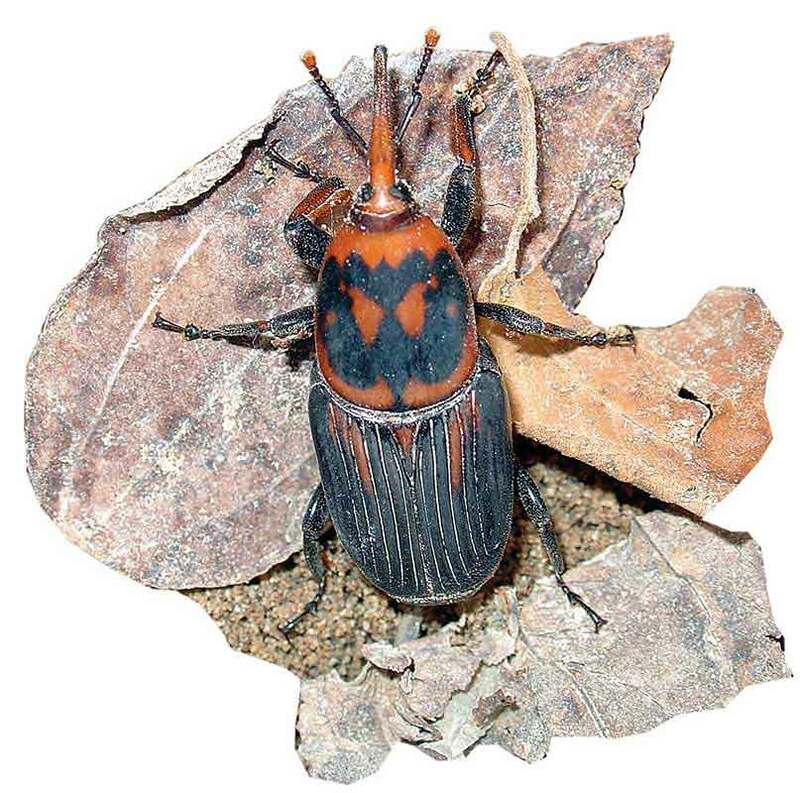 Insect follows Dryophthoridae family, and Coleoptera order. Size is between 20-50 mm, and has rusty red colour. Larvas dig Tutas inside palm trees, causing tree death. It is one of the most dangerous insect pests for palm trees. Adults weakly feed on palm trees, and female lays about 200 eggs during life.